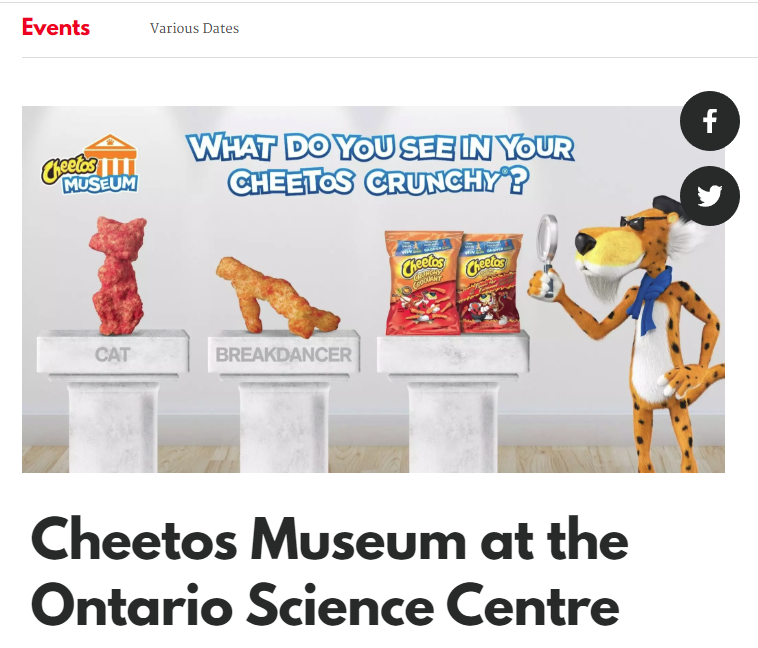 From the WTF files comes Ontario's Science Centre's hosting of the Cheetos Museum this past Mother's Day weekend. It's a mobile, immersive, advertising experience for Cheetos. Was there any science you ask? 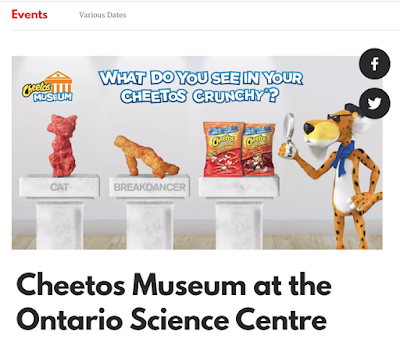 The "promotional activity" (that's what it was called by the Ontario Science Centre in a now no longer hosted webpage online) involved hunting for Cheetos with identifiable shapes, swinging on a Cheetos branded swing, and taking pictures with Cheetos' mascot Chester. So why would the Ontario Science Centre have hosted it? I mean it's difficult to imagine it was there for any other reason given there's zero scientific content. The timing also seems to suggest money as the likelihood is that Mother's Day weekend is one of the Science Centre's busiest of the year - and that would command higher dollars. All this to say, a live exhibit demonstrating the science of marketing junk foods to kids, by marketing junk food to kids, probably isn't one I'd have recommended to the Ontario Science Centre.